NF Railway is going strong in reducing the carbon footprint within its premises thereby contributing as well as promoting a greener environment. Out of 505 stations in NF Railway, already 260 stations have been completely fitted by LED fittings. 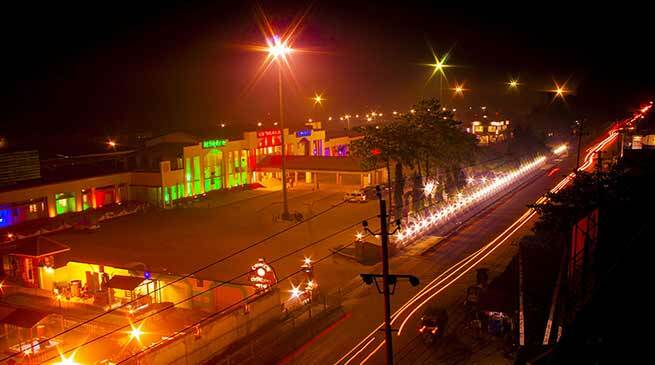 Tinsukia division of NF Railway has become the 1st Division to achieve the feat of making all stations 100% LED lit. While out of 132 electrified stations under Katihar Division, 129 have already been covered. Balance 3 will be converted with LED fittings shortly. In Alipurduar Division out of 85 electrified stations, 59 stations have been covered to LED already. The balance 26 stations will be converted with LED fittings by end of March. In Rangiya Division out of 97 electrified stations, 77 stations have already been converted by LED fittings. Balance 20 stations to be converted by the end of March. In Lumding Division out of 124 electrified stations, 68 stations have been converted by LED fittings already. Balance 56 stations are targeted for full conversion to LED fittings by end of March. There is a savings of about 10 watts per LED fittings being fitted. After completion of all stations with LED fittings, other railway service buildings like offices, railway quarters etc will be taken for 100% conversion to LED fittings. There are 2(two) A1 category and 20(twenty) A category stations in N.F.Railway. Total savings on energy bill from these two categories of station will be about Rs. 67, 36,274/- per year. When all station will be converted with LED fittings, the savings will increase by many folds. NF Railway has already engaged an agency named EESL (Energy Efficiency Services Limited) to complete the work. While, NFRailway will not have to pay any amount from its budget to the agency; it will be paid from the savings done from energy bill. Moreover it may be mentioned here that, all new assets being constructed by the NF Railway Construction organisation like new line, stations etc throughout North eastern region will now be fitted with full LED fittings from the very beginning.